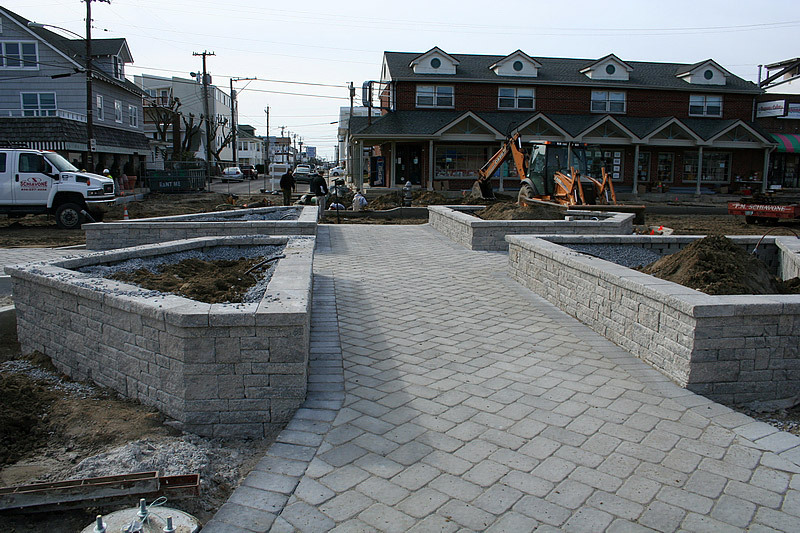 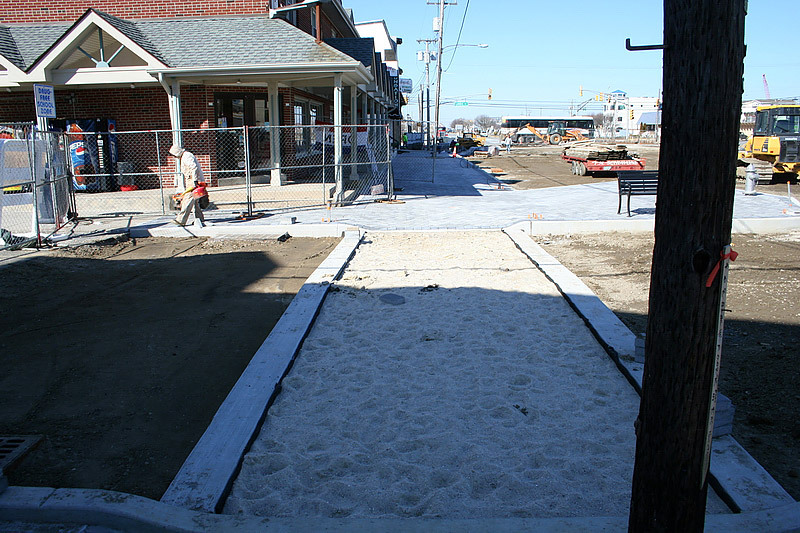 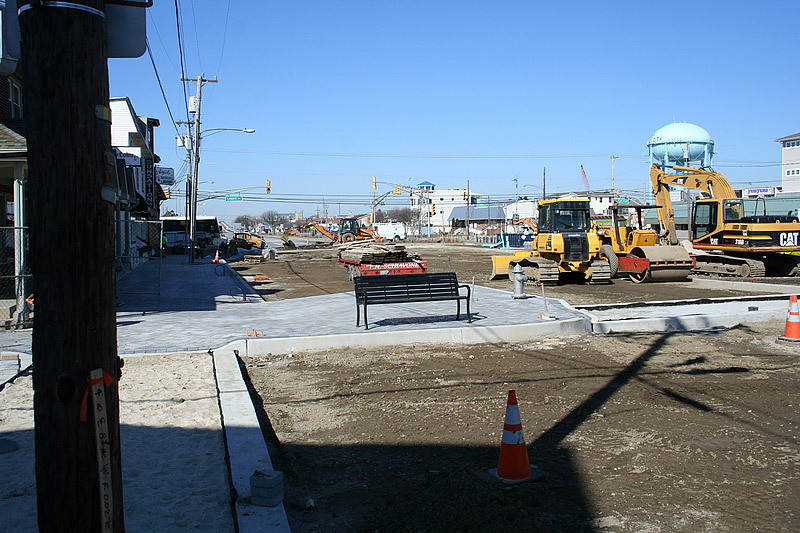 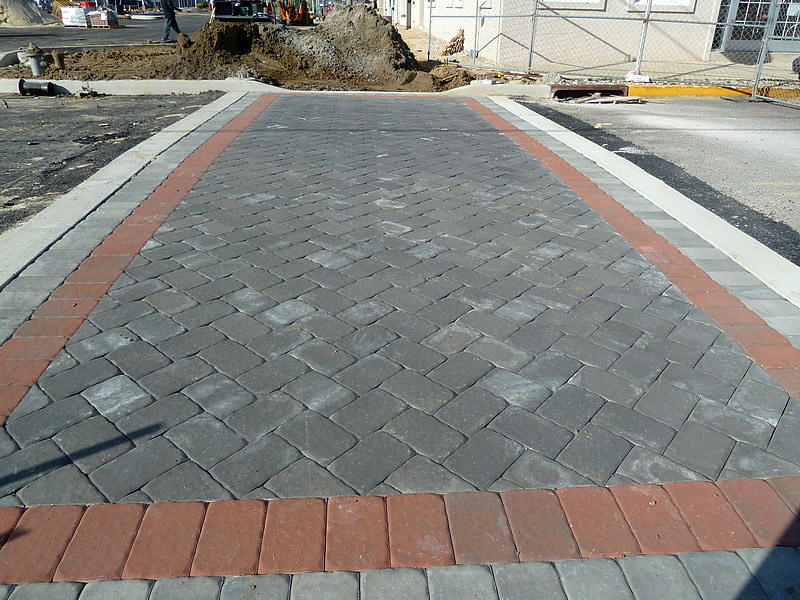 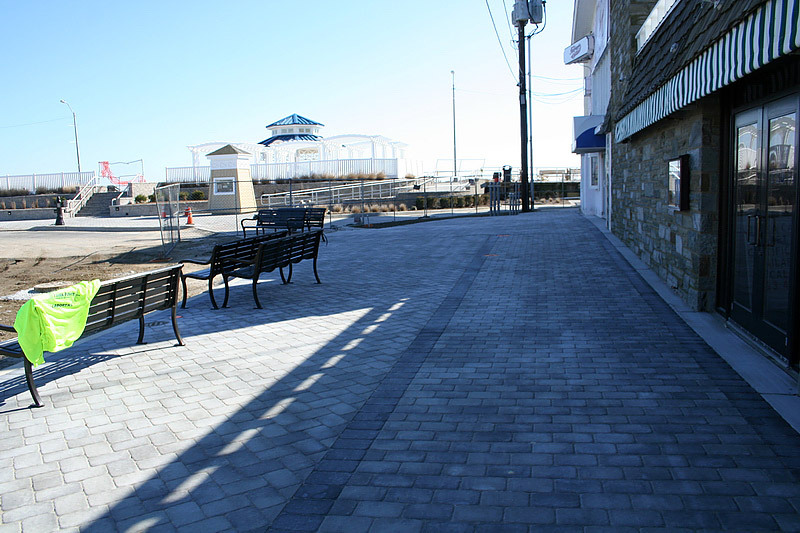 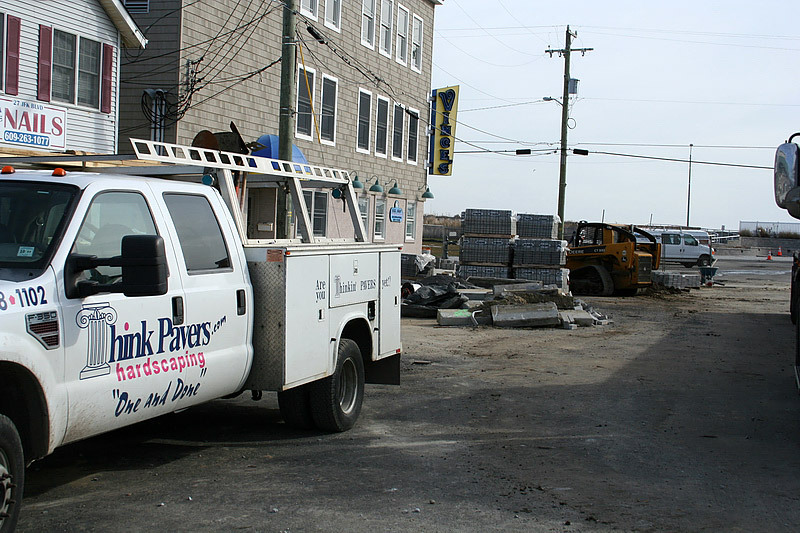 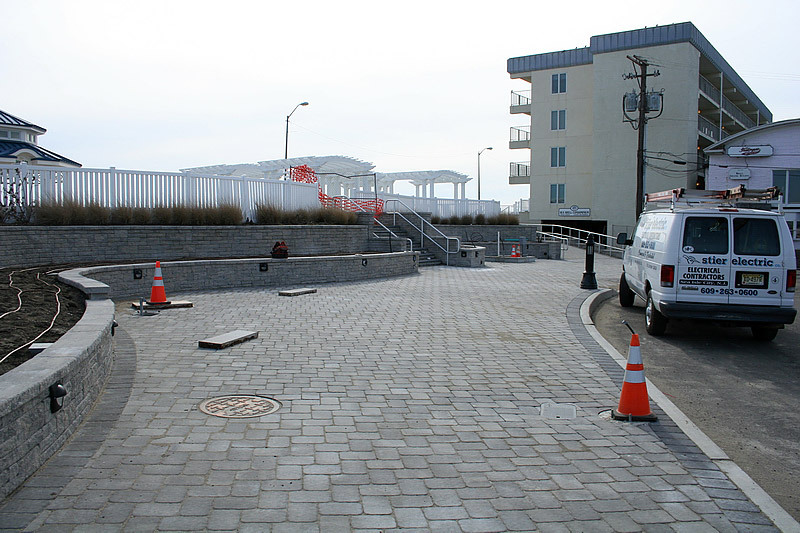 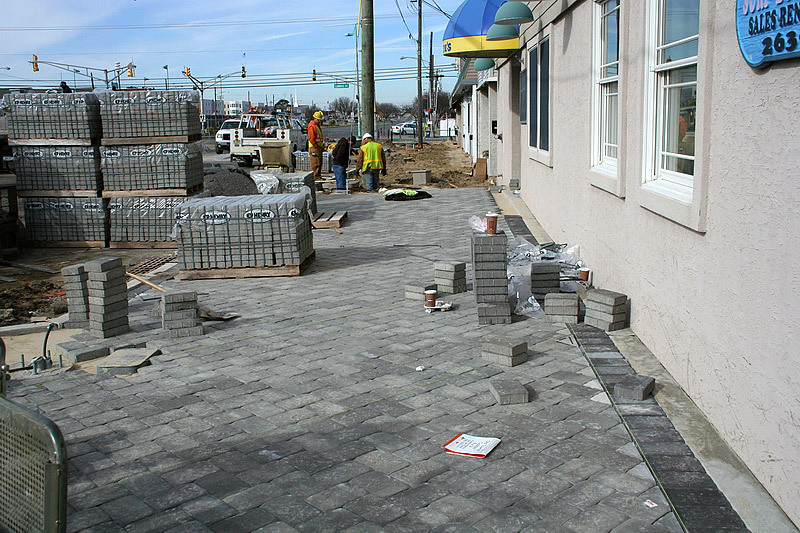 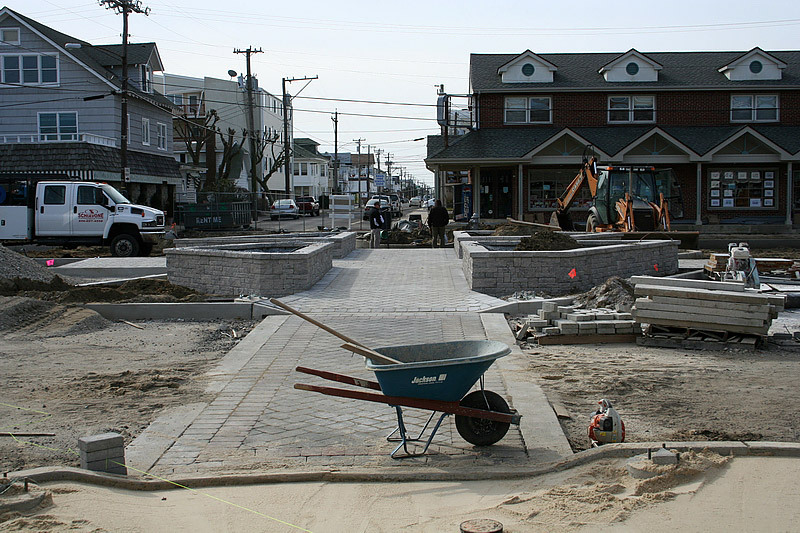 This streetscape project entailed the installation of Interlocking Pavers manufactured by EP Henry. 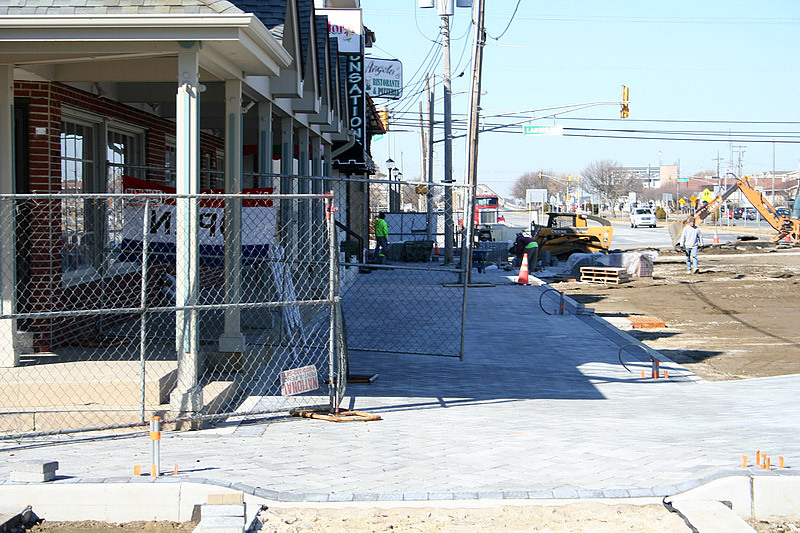 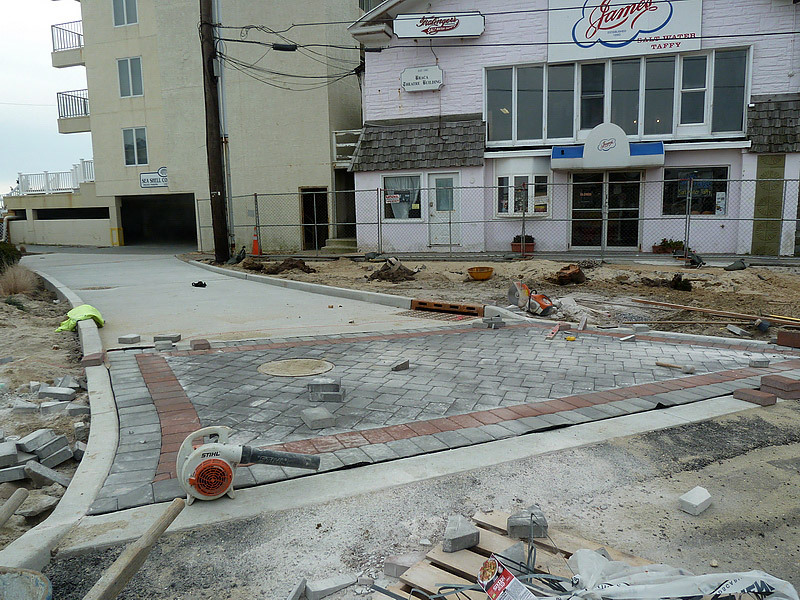 These EP Henry Old Towne Cobble Pavers were installed in the crosswalks as well as the pedestrian sidewalk. 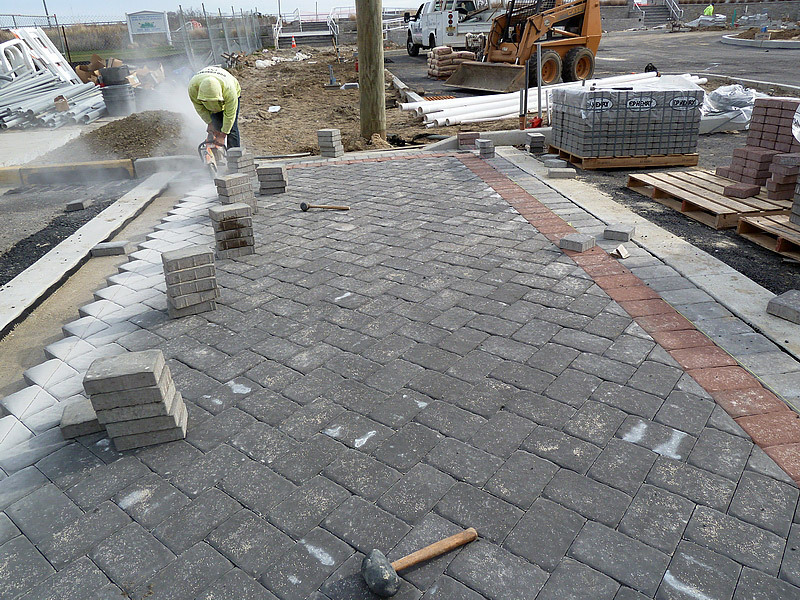 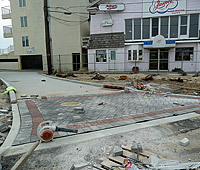 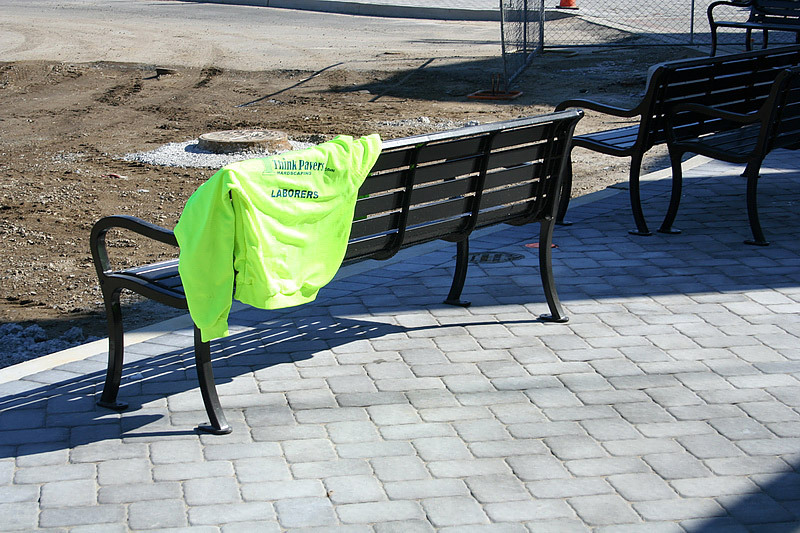 The interlocking pavers were installed on top of a concrete base to prevent them from settling. 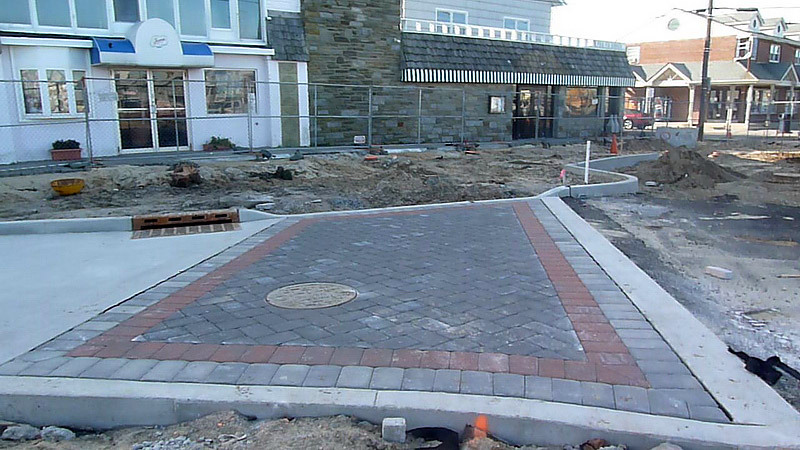 EP Henry’s Old Towne Cobble Pavers are a practical way to give your walkways a great appearance. 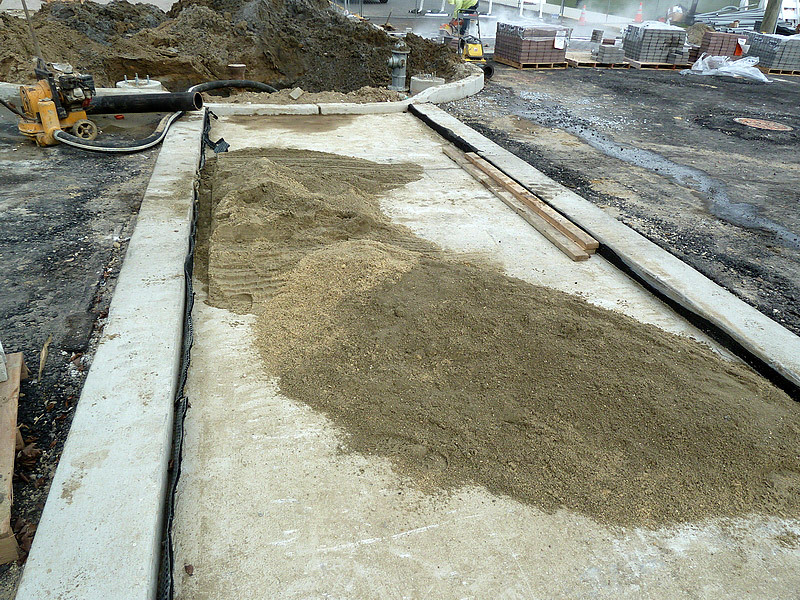 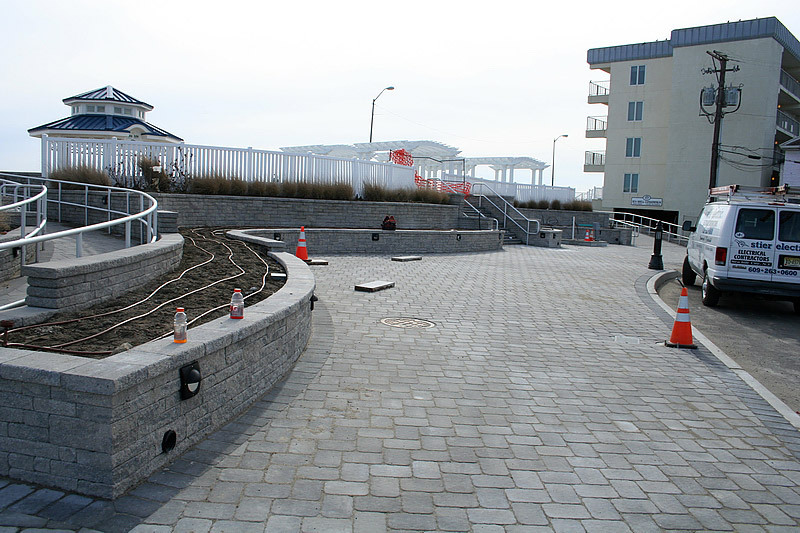 This project also included the installation of Coventry retaining walls manufactured by EP Henry. 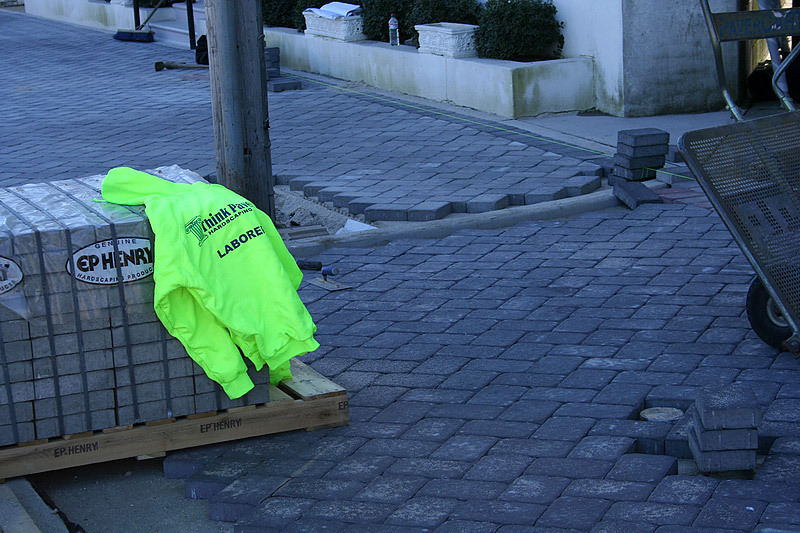 The Coventry wall units give the look of Penn. 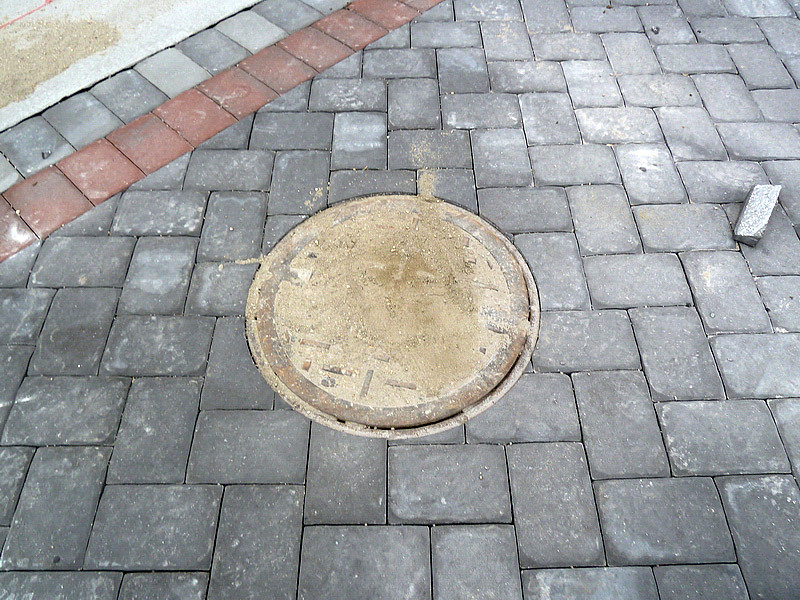 Field Stone. 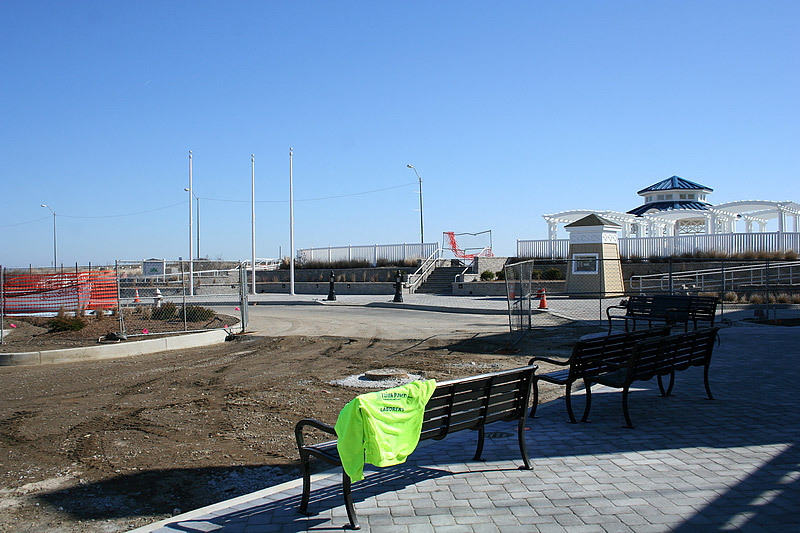 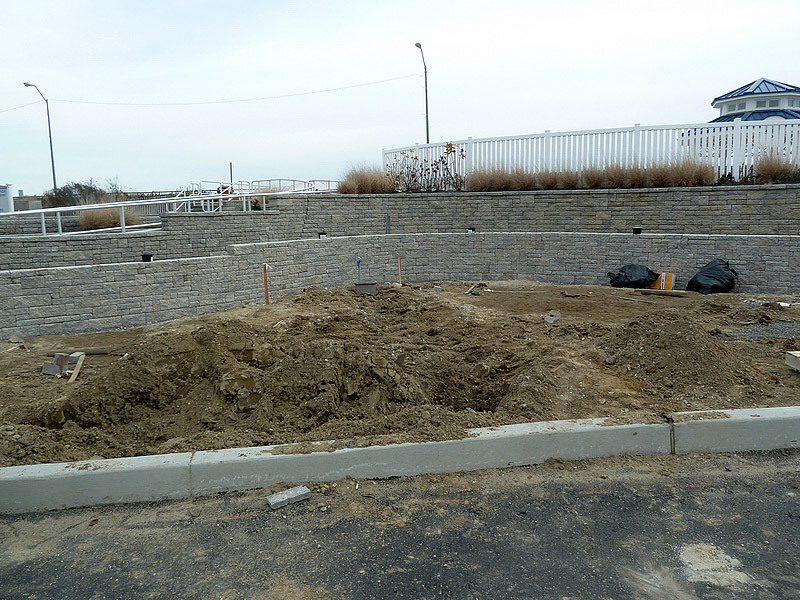 These retaining walls were installed at the entrance of the bank and around the center islands on JFK Boulevard.